The University of Iowa Health Sciences Colleges is pleased to offer an enriching six week experience with SHPEP. The Health Sciences Colleges include the Carver College of Medicine, College of Dentistry, College of Pharmacy, and College of Public Health. 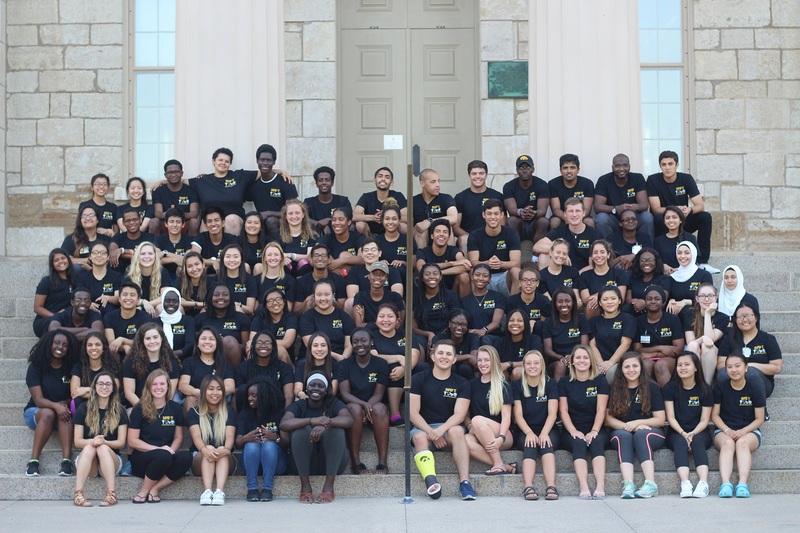 We strongly believe in the value of exposing students from underrepresented backgrounds to the possibility of pursuing health fields and supporting their goals in accomplishing that dream to help improve the health of society at large. Through in depth experiences with one of the colleges listed above, scholars in our program will learn about the variety of opportunities available in the healthcare field and help them decide which career they are interested in pursuing. Additionally, the students will have opportunities to improve study skills, understand and learn how to improve health disparities, and enhance networking skills. Each scholar will have the opportunity to take one basic science course including Anatomy/Physiology, Physics, and Organic Chemistry to help expose and prepare for future enrollment in these courses. Scholars will also learn how to best work in healthcare teams with our Interprofessional curriculum. Clinical Experience: The scholars will have opportunities to shadow healthcare providers at the University of Iowa Hospitals and Clinics as well as other local settings. Providers will include physicians, dentists, nurses, pharmacist, and those who work in public health. There will be opportunities to work in an underserved health clinic with the University of Iowa Mobile Clinic. Meals: Scholars will be given $100/week to use for meals. Travel Assistance: Travel assistance will be provided by the program site. Stipend: Two installments of $300.00 disbursed on week 1 and week 3 of the program. Housing: Scholars will be housed in Petersen Residence Hall, double occupancy rooms. Health Insurance: Scholars must provide their own health insurance. Social Activities: There will be a variety of activities both on and off campus planned and available for students. These activities include, but are not limited to: a day trip to Adventure land Amusement Park, Iowa City Summer Festivals, Fourth of July Activities, a talent show, a welcome reception and a graduation reception.